Fingerprints—those swirling indicators of our individual identity—are physical attributes that we tend to take for granted. They serve two physiological purposes: they produce friction (allowing us to pick up items with greater ease) and they amplify vibrations so that we are able to feel subtle textures. This scientific explanation, however, does not hint at a fingerprint’s profound emotional associations. Aside from the occasional handshake, we mostly join hands with those that we love. Holding your partner’s hand makes you feel intimately bonded, while holding the hand of a child or elderly relative can be a protective gesture.We take a child’s hand for safety when we cross the street, and we hold our partner’s hand because it encourages romance and intimacy. When we hold hands we are leaving our fingerprints behind, perhaps as a hope that a part of us will stay with our loved ones when we part ways. And of course, your fingerprint is truly unique to you (did you know that even identical twins have different fingerprints? ), and won’t change over time. For these reasons, more and more couples are choosing to immortalize fingerprints on an item of jewelry, particularly on an engagement ring or a wedding band. The ancient Egyptians believed that a vein ran directly from the third finger of the left hand to the heart. While modern science has disproved this idea, the cultural connection between that finger and true love persists—and what could be more romantic than symbolically connecting your partner’s fingerprint to your heart? 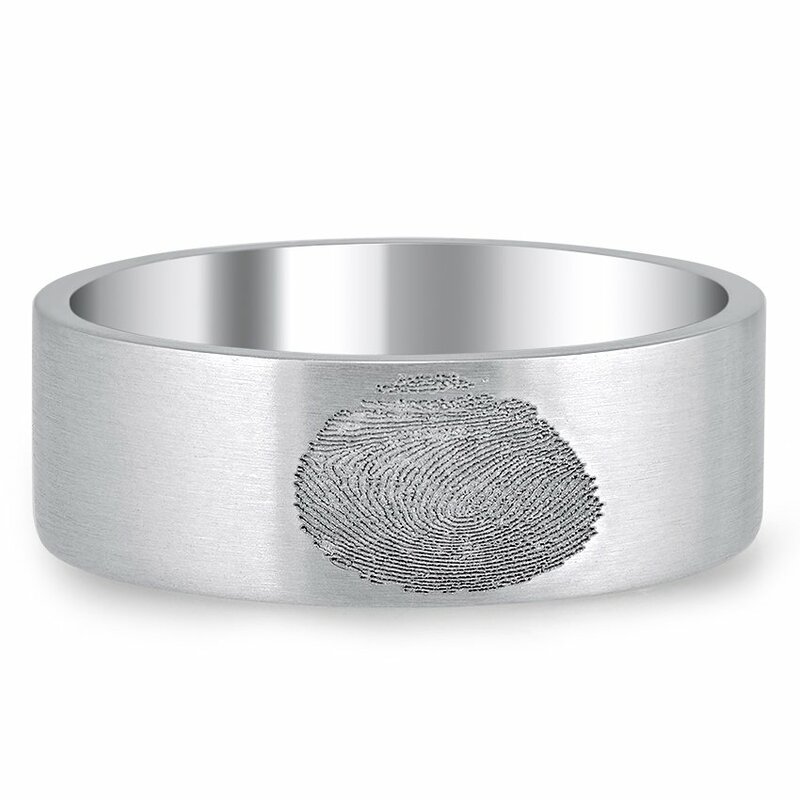 Here at Brilliant Earth, we encourage you to celebrate your one-of-kind romantic connection with a custom designed fingerprint ring. Brilliant Earth’s knowledgeable jewelry experts are ready to help you custom design your own fingerprint ring. The print can go on the inside or the outside of the ring, depending on your personal preference. Putting the fingerprint on the outside of the ring makes it a visible part of the design. On the other hand, placing the print on the inside of the ring allows you to keep the look of the ring traditional, but you’ll have an intimate hidden detail on the inside. Keeping the fingerprint on the inside also gives you more ring options to choose from. The process of creating a fingerprint ring is surprisingly simple on your end, you simply dab your finger (or thumb) on an ink pad and then onto a piece of paper, then take a clear photo of it and email it to us. Our jewelers then laser inscribe the fingerprint onto the ring with complete accuracy. There are some limits on the size of rings that work for fingerprint rings—they have to be at least 5mm wide and a ring size of 7 or larger. (On smaller rings, the laser engraving can’t be sufficiently accurate.) 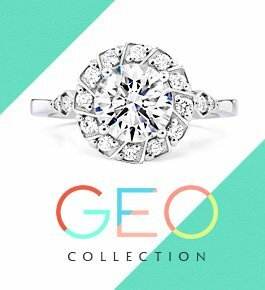 For this reason, fingerprint rings are a somewhat more common choice for men than for women, and can be a great option for a man who wants his ring to be a little more unique and embellished, but doesn’t want to use precious gems or much outside embellishment. 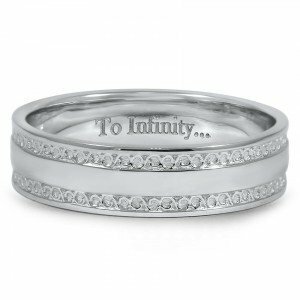 However, we certainly have created beautiful fingerprint rings for women with size 7+ fingers. If you have questions about your ring size, view our ring sizing guide. While many people choose to feature only their partner’s fingerprint on their ring, some choose to combine two fingerprints on one ring. This is most often done by overlapping the two prints to some extent, leaving the rest of the print distinct and recognizable (a great visual representation of marriage, don’t you think?). Putting both prints on the ring means that you are not only keeping your partner with you wherever you go, but you are also keeping a reminder of the commitment you have made. If you would prefer a piece of fingerprint jewelry other than a ring, consider designing a custom pendant or pair of earrings. The back of a flat pendant or charm would be a great location for a fingerprint! Take a look at our custom jewelry gallery for inspiration. Fingerprint engravings aren’t only for symbolizing romantic relationships. Creating a piece of jewelry that has a child’s fingerprint engraved on it is a great way to show your love. It is common for parents to make imprints of their children’s tiny feet and hands on clay or paper, but a piece of jewelry is more durable and portable. Jewelry bearing your children’s fingerprints can be a sweet way to constantly carry a reminder of your children wherever you go. The sky is the limit when it comes to personalization. One more traditional idea is to engrave a personal message on the inside of the ring—something that only your partner would understand. Or, if there is something that you are both passionate about, such as sports or travel, you could represent that shared interest by incorporating it into your ring. Take a look at our custom ring gallery for inspiration. One Brilliant Earth couple had their initials (M and A) incorporated into the actual design of a custom ring. Archaeologists have discovered fingerprints imprinted on clay tablets dating back to the ancient Egyptians and Greeks. It is unclear whether the prints were left there purposefully or whether it was simply a mistake, but in either case those people managed to leave a physical imprint of their existence that lasted for thousands of years. 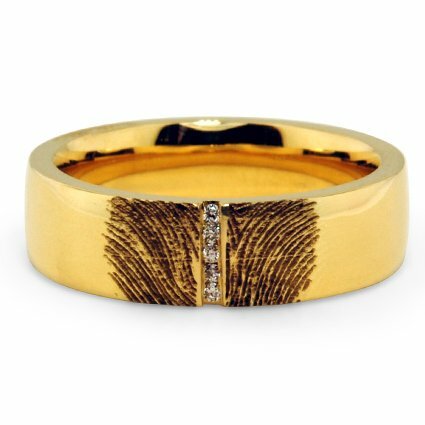 In a similar way, creating a piece of fingerprint jewelry allows you to live on. Imagine one of your distant descendants opening up a jewelry box and putting on your fingerprint ring–it would almost be as though you were holding hands across time. What do you think of fingerprint rings? Let us know on Facebook or Twitter or in the comments section! Hi Katherine, we may be able to add a fingerprint engraving to an existing ring only if it was purchased from Brilliant Earth. If it is a Brilliant Earth ring, the ring will have to first be seen in person for our jewelry specialists to determine if the engraving will work. For more information feel free to reach out to us at 1.800.691.0952 or through the live chat on our site. Thanks for your interest! 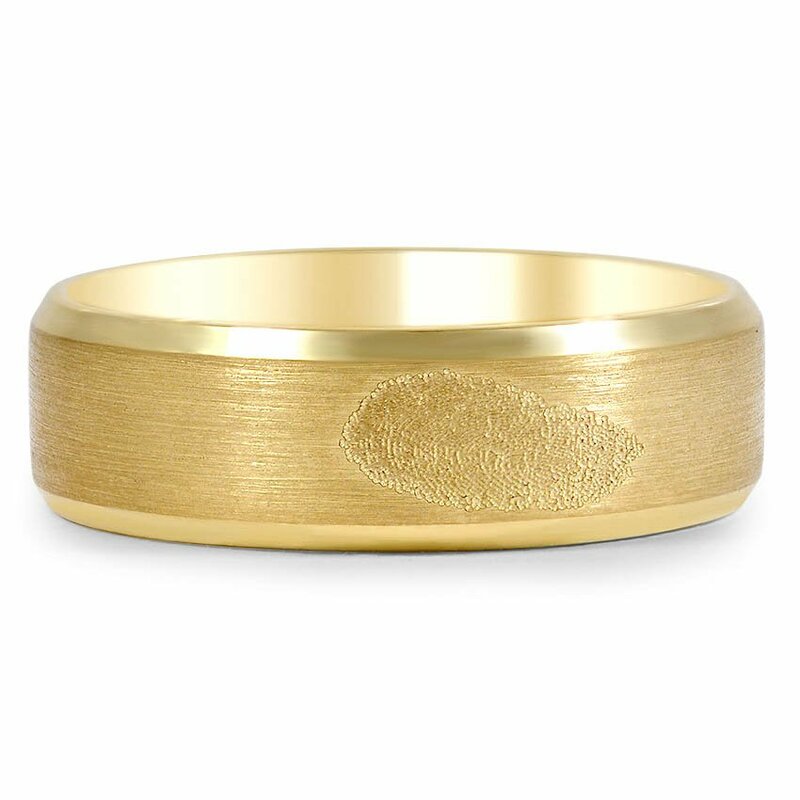 Can you add a fingerprint engraving on an already existing ring? Hi Ed, we would love to help you create the ring of your dreams through our custom design process! You can learn more about our custom design process here: http://www.brilliantearth.com/custom-ring-design-process/. 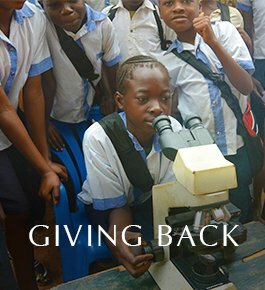 If you have any questions, please reach out to our custom design specialists via email (http://www.brilliantearth.com/contact/) or by calling 800-691-0952. Thank you for your interest! 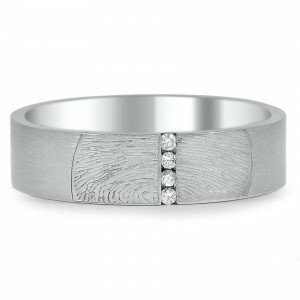 I’m looking for a 5mm brushed platinum ring (size 8) with a fingerprint engraved on the interior. Hi Madison, we can create almost any ring through our custom design process, and we would love to help you create your perfect ring! You can learn more about our custom design process here: http://www.brilliantearth.com/custom-ring-design-process/. If you have any questions, feel free to reach out to our custom design specialists via email (http://www.brilliantearth.com/contact/) or by calling 800-691-0952. Thank you for your interest! Hi Julie, unfortunately we can only engrave rings that are purchased at Brilliant Earth. Thank you for your interest! 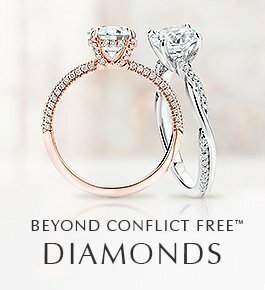 Is it possible to have a ring bought elsewhere (as long as not tungsten) engraved by your company? Hi Ashleigh, unfortunately we do not work with tungsten at Brilliant Earth. Thank you so much for your interest! I already have the ring I would like engraved, it’s a 8 mm tungsten band, would you be able to do this for me? If so what would it cost? Hi Michelle, we’d love to help you explore the option of adding your fingerprint to one of our rings. I just spoke to our design team about your question and they said that they can definitely clean up a fingerprint to get a clearer looking inscription, so long as your print has enough detail to build on. They also mentioned that there are some other limitations to the way this is engraved that I thought were worth sharing. To add this type of engraving the base ring needs to be a minimum of 5mm wide, and a ring size at size 7 or larger. If you would like to continue to explore the idea, please reach out to the team at info@brilliantearth.com or at 1.800.691.0952. Thank you for your interest! im just wondering i have been a hair dresser for years and have bleached my finger tips, so they are very shallow and have some scarring, from the bleach. is there anyway you guys can clean it up for a clean and clear looking print? Hi Heather, we would love to help you create your perfect fingerprint rings! You can learn about the steps of our custom design process here: http://www.brilliantearth.com/custom-ring-design-process/. 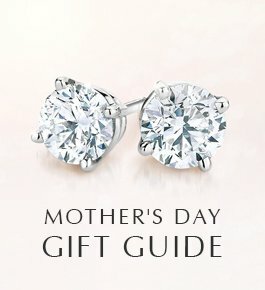 The first step is to get in touch with one of our custom jewelry specialists, who you can reach by phone at 800.691.0952 or by email (http://www.brilliantearth.com/contact/). Thank you for your interest! Hi I am interested in having a set of fingerprint wedding rings made. I wasn’t able to copy the e-mail to contact. What are the steps I need to take to get this done? Hi Amy, We can absolutely design something similar to what you have in mind – you can see a selection of the wide variety of rings we have custom designed for Brilliant Earth couples here: http://www.brilliantearth.com/custom-rings/. 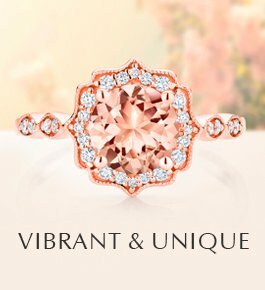 Our jewelry specialists would be happy to discuss the design you have in mind in more detail, and provide a custom quote via email (http://www.brilliantearth.com/contact/) or at 800.691.0952. 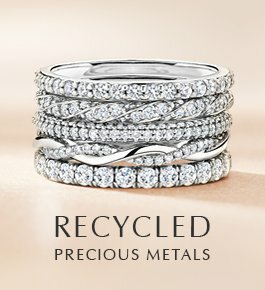 Can/will you do a ring with a dog nose or paw print wrapped on the exterior? The pricing for our custom fingerprint rings will vary based on the style of wedding ring you choose and the precious metal of your choice. 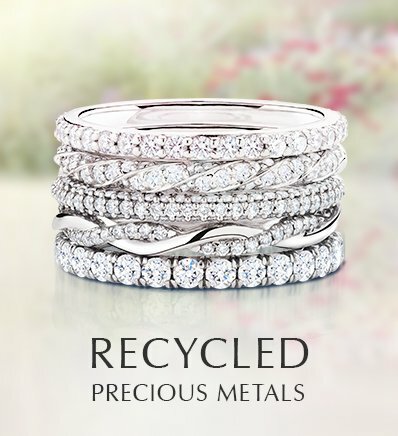 Our jewelry specialists would be more than happy to provide you with a price quote for the ring you have in mind, and you can reach them at 800.691.0952 or by email (http://www.brilliantearth.com/contact/). Thanks for your interest! I’m interested in the fingerprints ring, can I have more information about it, say the ordering process and the price. Thx. 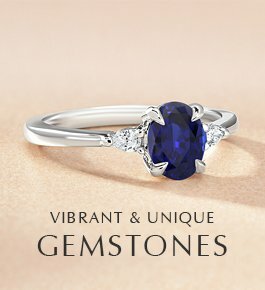 Our jewelry specialists can assist you with price quotes via email (http://www.brilliantearth.com/contact/) or at 800.691.0952. Thanks for your interest! Hi the ring I will have is a platinum ring. How much will it cost to get it fingerprinted? The pricing for our custom fingerprint rings will vary based on the precious metal you choose, your desired width of the band, and whether you would like to incorporate gemstones. Our jewelry specialists would be more than happy to help get you a price quote for the ring you have in mind, and you can reach them at 800.691.0952 or by clicking ‘Email Us’ in the upper right corner of this page. Thanks for your interest!